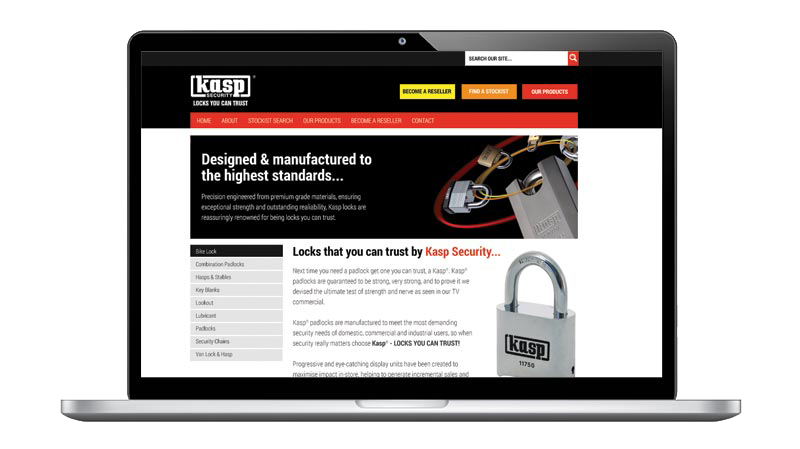 If you’re looking for the very best in lock and security solutions, then look no further than our new Kasp Security Website. Kasp Locks and Padlocks - designed and manufactured to the highest standards - carry a ten-year guarantee and provide the perfect one-stop-shop to fulfil all your security needs. A superb range of retailer benefits are also on offer to help maximise sales, including a high retailer margin to maximise profits and low minimum order. Kasp locks are renowned for being locks you can trust. Precision engineered from premium grade materials, ensuring exceptional strength and outstanding reliability, Kasp locks are ideal for a wide range of applications. Whether it’s a luggage lock or a top of the range CEN 6 equivalent padlock, Kasp has all the answers. Check it out by clicking here. Striking Kasp POS and merchandising solutions are also on hand to create a bright and bold in-store presence that attracts consumers. These include: Counter displays, backing boards and displays stands, all designed to offer really effective ways to increase impulse purchases and increase sales. Kasp consumer-friendly eye-catching packaging plays an important part in purchasing decisions, an eye-catching design and different level security colour coding (low, medium and high), making it easy for consumers to choose the products best suited to their needs. There’s also a quick and easy online ordering facility, next day delivery, together with a friendly and helpful customer services team.